Warped floorboards, a sinking house, a rotating chimney or cracks in your foundation can mean serious issues for the structural integrity of your home. United Structural Systems Ltd., Inc. in Cincinnati is committed to providing the highest level of service, which means we will even tell you if you do not need service. 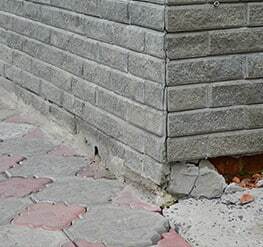 We specialize in wall realignment, foundation repair and waterproofing for residential and commercial properties. No two foundations are the same! Let our team of experts handle your unique foundation issue. For more information about our services, the services we use, or to schedule a free estimate, contact us at 513-427-5158.